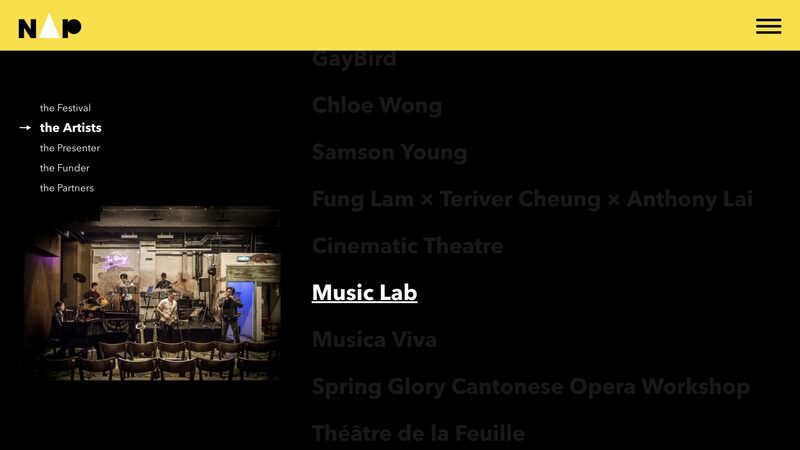 Jockey Club New Arts Power 2018, a year since the flagship festival’s debut, takes a change of scene on stage. 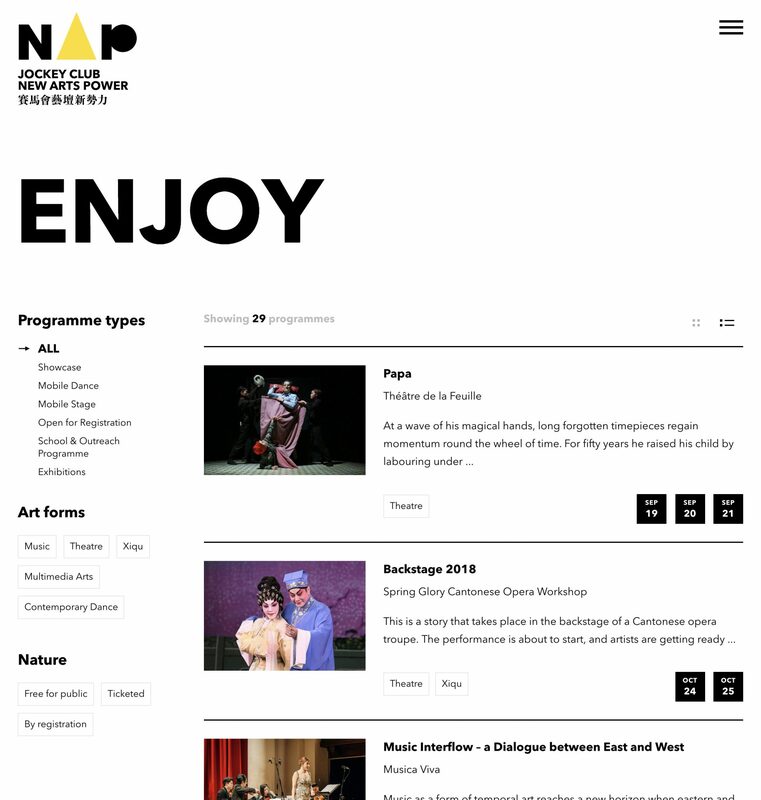 All interactive and transitional effects throughout the website are tailored for such concept of a scene change. 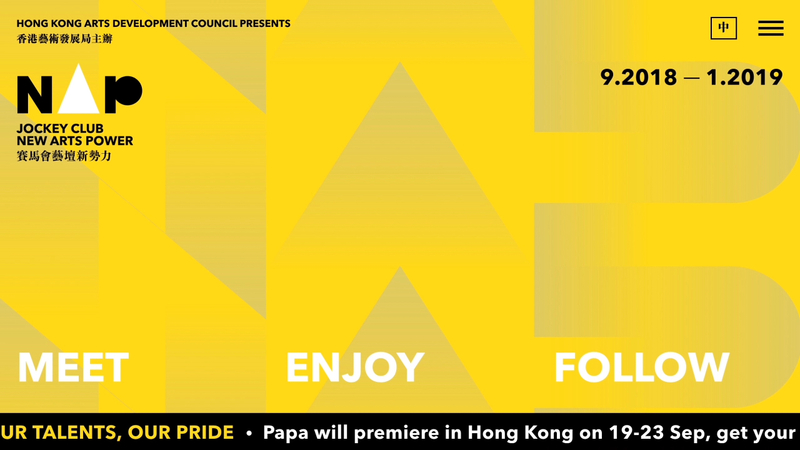 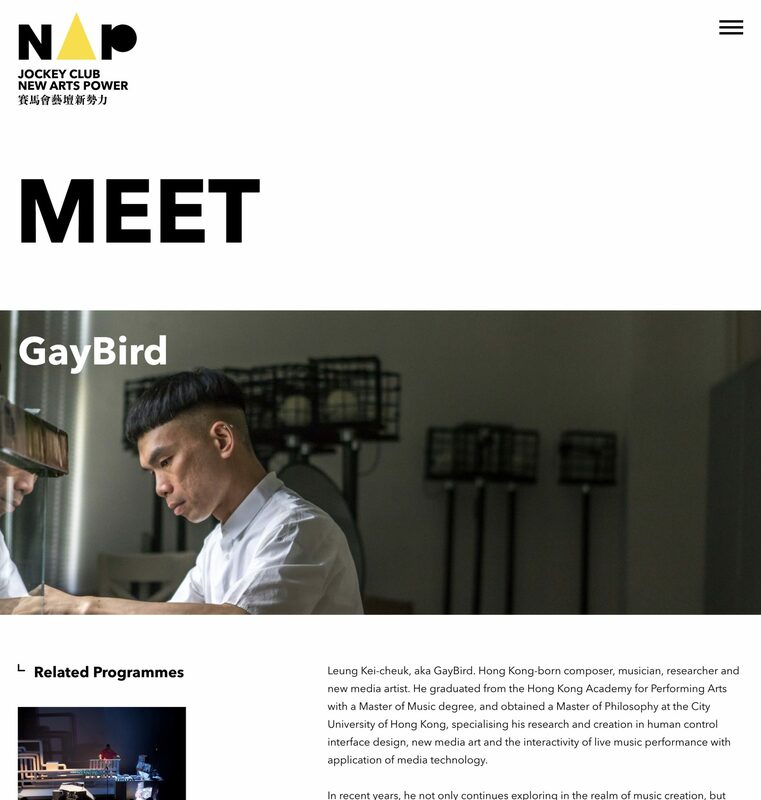 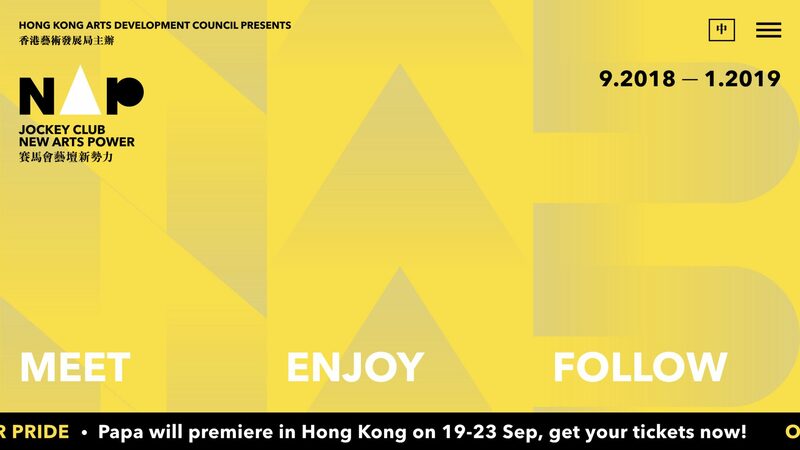 Presented by Hong Kong Arts Development Council, the festival continues to feature and promote well acclaimed performing arts across Hong Kong.